Mini Pyrastar – Recent Toys Int. Spin it and solve it! 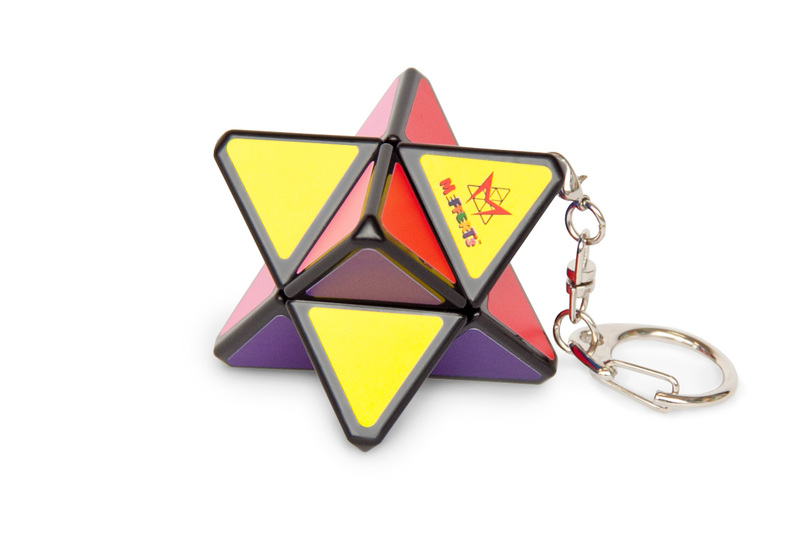 Uwe Meffert started designing rotational puzzles in 1970 with the invention of the Pyraminx. 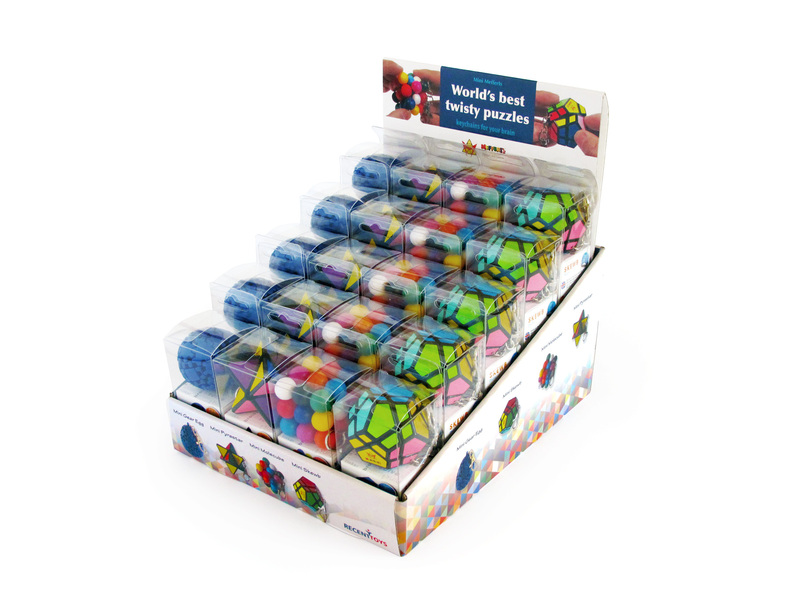 Since then, he has created over 100 styles of rotational puzzles that are distributed worldwide. Uwe is a leading designer in the puzzle community and delights in finding intriguing new ways to puzzle his fans. Brains on the move need fuel. 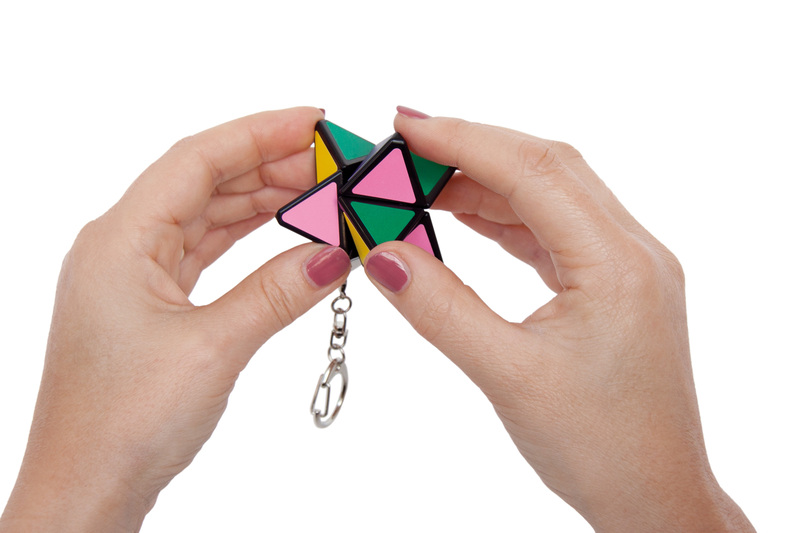 So take this clever keychain everywhere you go. Just a couple of twist will jumble the colors. 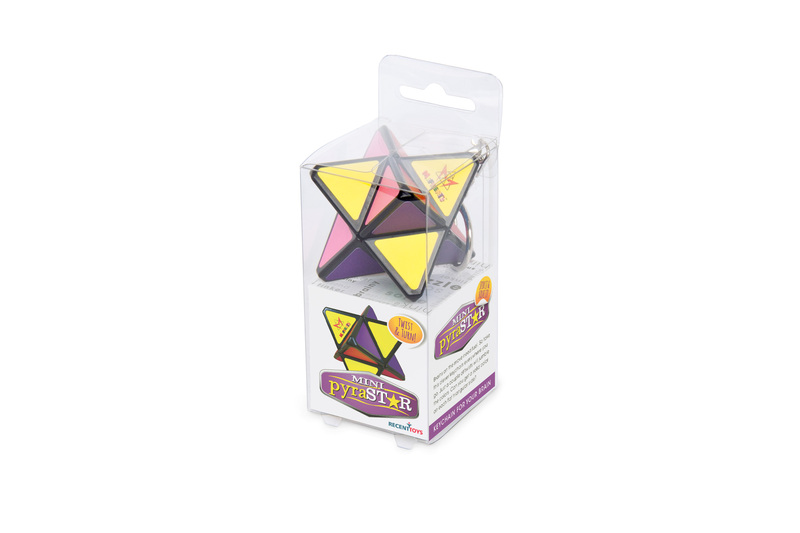 Can you get a solid color on each flat triangular side?